In the shadow of Mt. 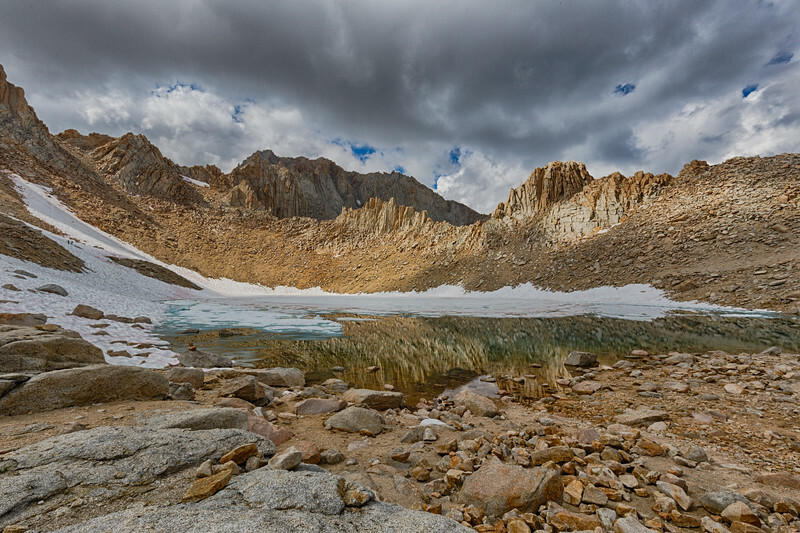 Whitney, at 12,600 feet elevation, Iceberg Lake lives up to its name. Each night it froze back over, about half an inch thick. Mt. Russell is in the background. And the red streaks in the snow are called "watermelon snow" - it's caused by a cold-loving algae species living in the snow.